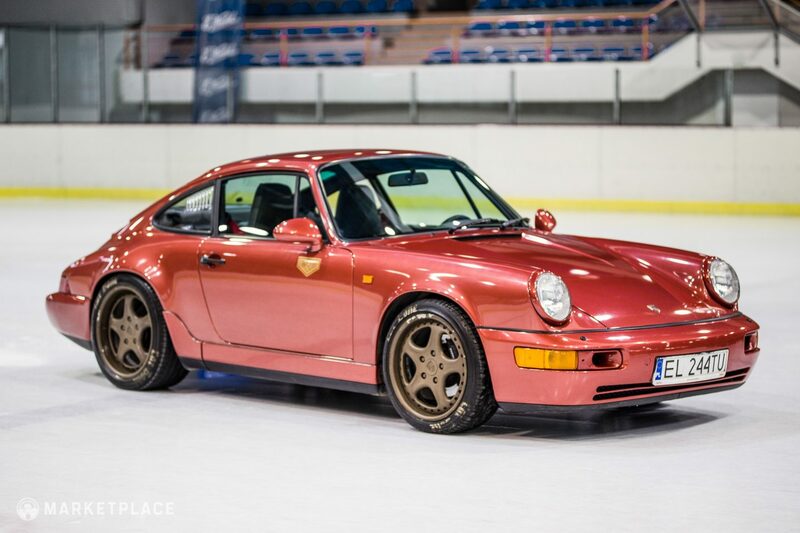 The vehicle offered here is a numbers-matching 1992 Porsche 911 964 Carrera 4 in the rare color Coral Red over a Classic Grey interior. 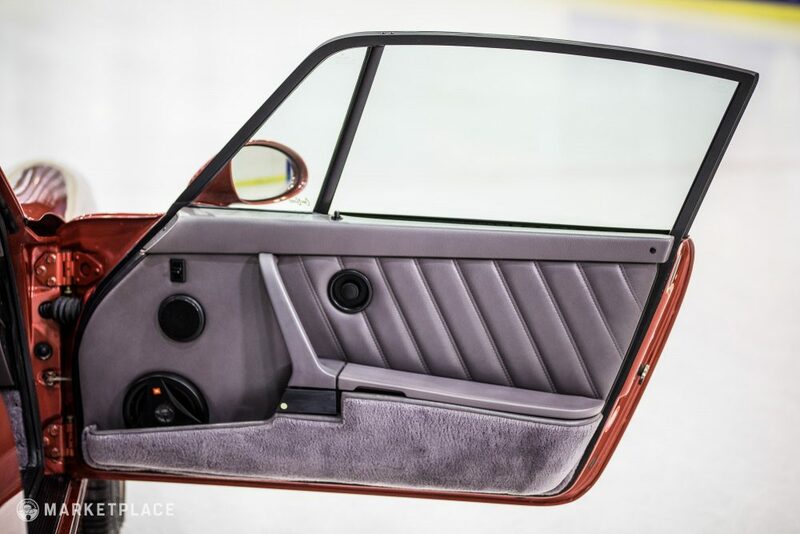 This four-owner Euro-spec model was restored and modified in 2017 at the direction Car Bone, a Polish manufacturer of creative Porsche artwork and modifications. With a considerable amount of tactical modifications, Car Bone has accentuated the handling and performance of the four-wheel drive platform and added nearly 30 horsepower to bring the total right around 280. 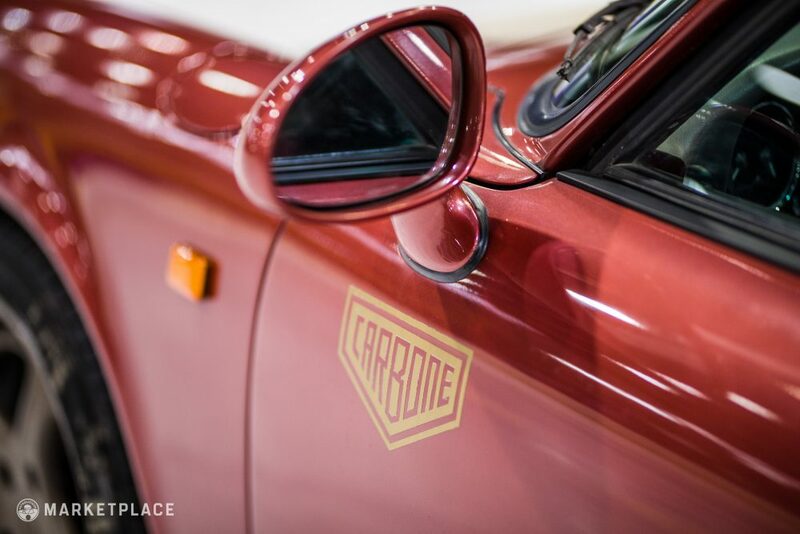 In addition, there are a host of cosmetic touches showcasing some of Car Bone’s products. A full breakdown of these details can be found further below, but we start with the evaluation of the condition of this car. Body – The car does not have any dings, dents, nor scratches. It bears all of its original panels with perfect fit all around. 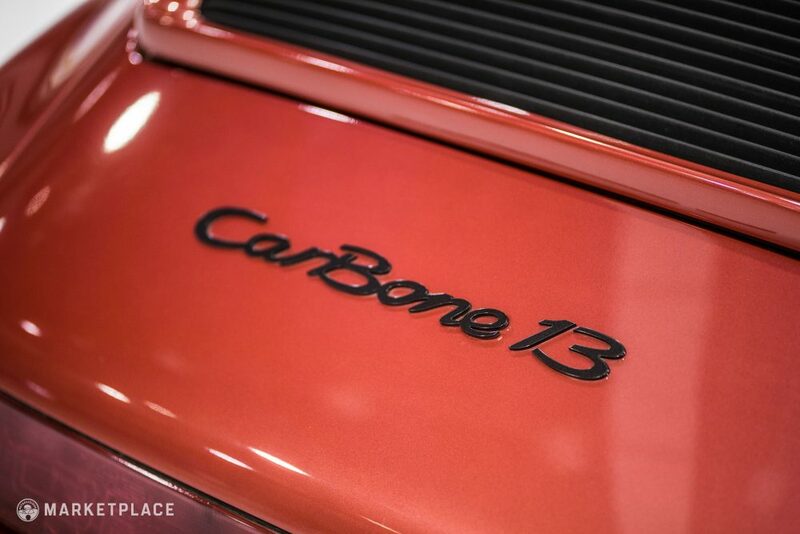 The car wears a custom “Car Bone 13” badge on the rear, however the original badge is included in the sale. 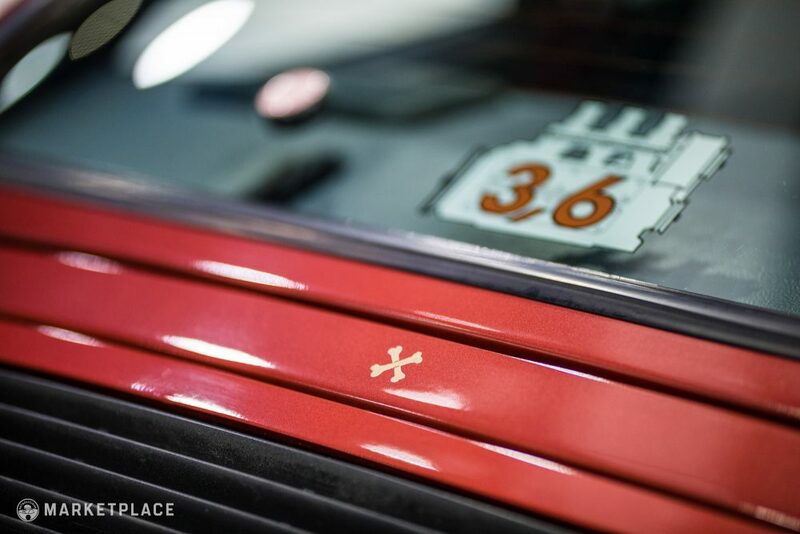 Paint – The car was resprayed during the restoration in the original color of Coral Red (paint code 82h). 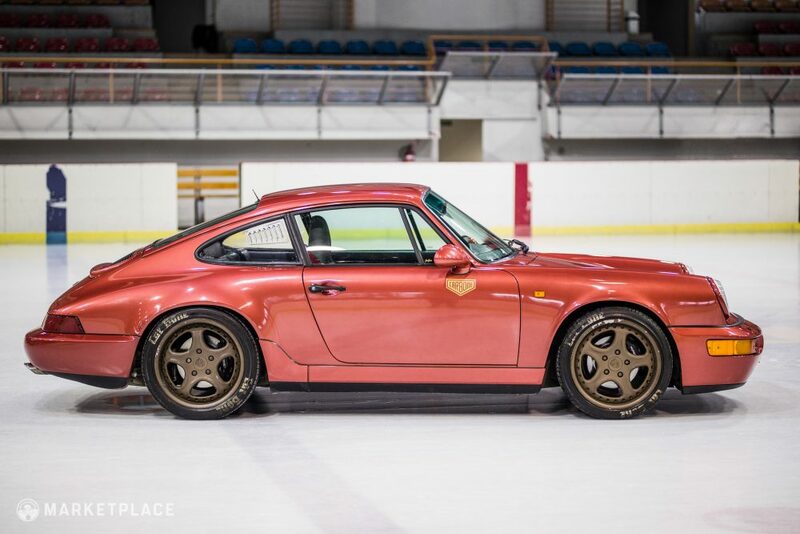 This color was used by Porsche for just two years and as such it is a very rare factory color in addition to a beautiful one. 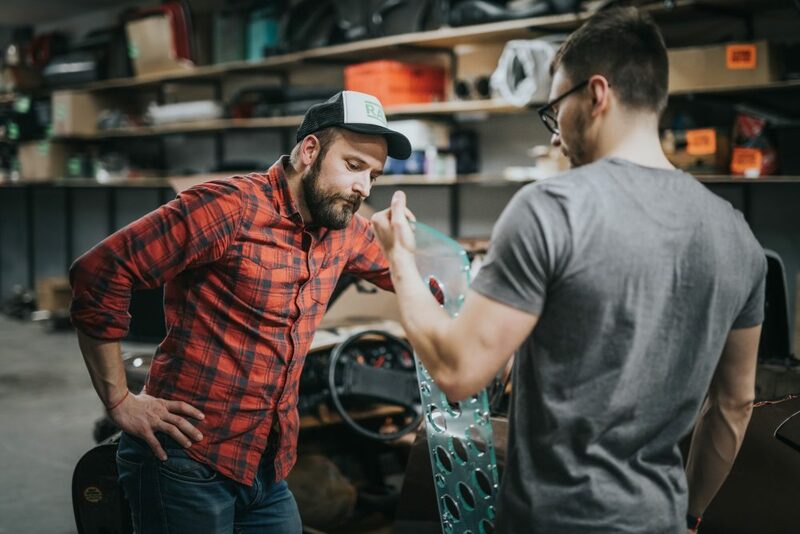 Additionally, some vinyl Car Bone stickers have been applied to the vehicle to add to the hot rod look, but are minimal and all are removable. 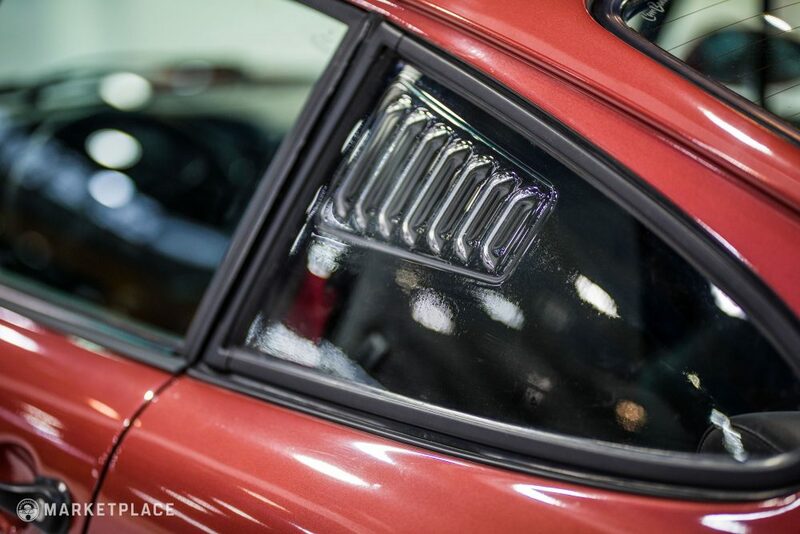 Trim & Glass – All of the glass is in excellent condition, and the rear quarter panel windows feature custom polycarbonate pieces with 1967 Porsche 911R-inspired louvers produced by Car Bone (the original quarter windows are included in the sale). 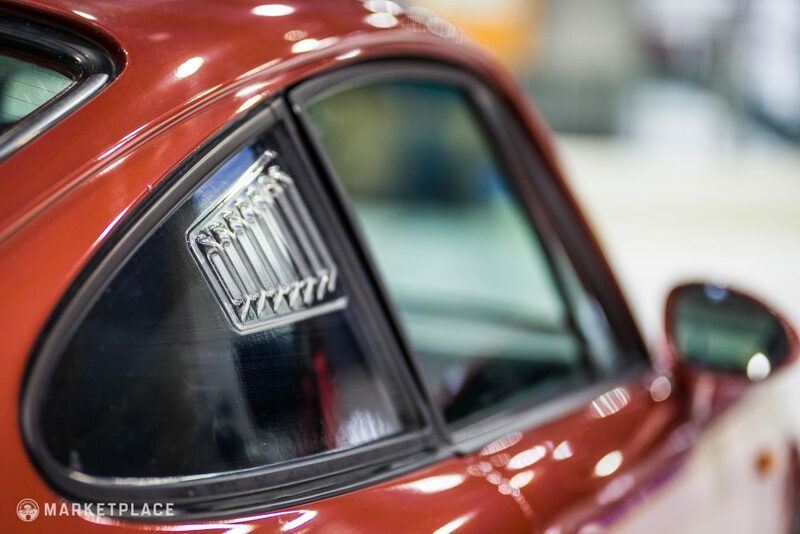 The rear lights have some cracking, pictured above. 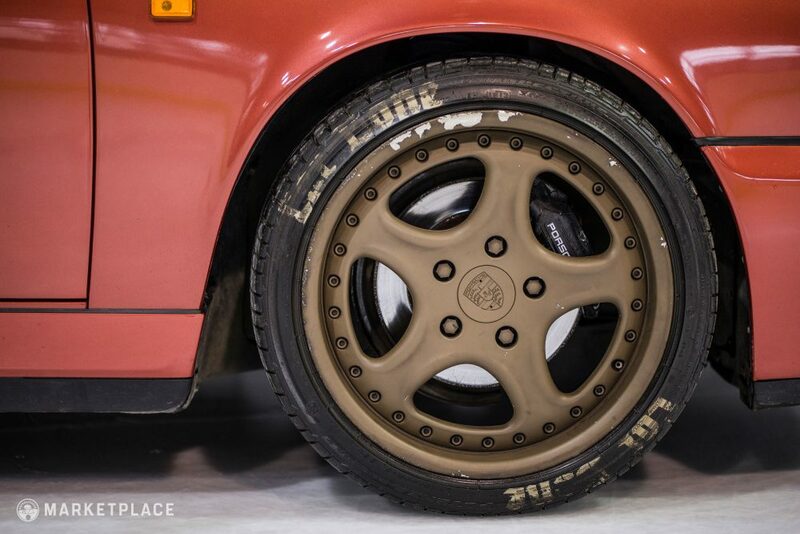 Wheels – Both the wheels and tires (Bridgestone Potenzas) on the car have been painted to look intentionally distressed for a more track-worn feel, but they’re in excellent condition with no chips in the wheel paint nor any cracks underneath. Both of these treatments can be un-done with solvents for a more original look. 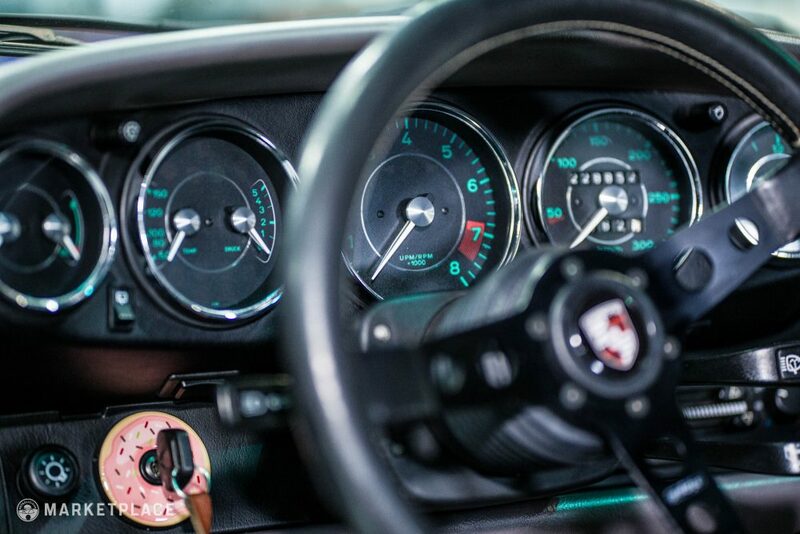 Steering Wheel – The car is currently fitted with a Momo Prototipo from 1981 for a vintage look and feel. 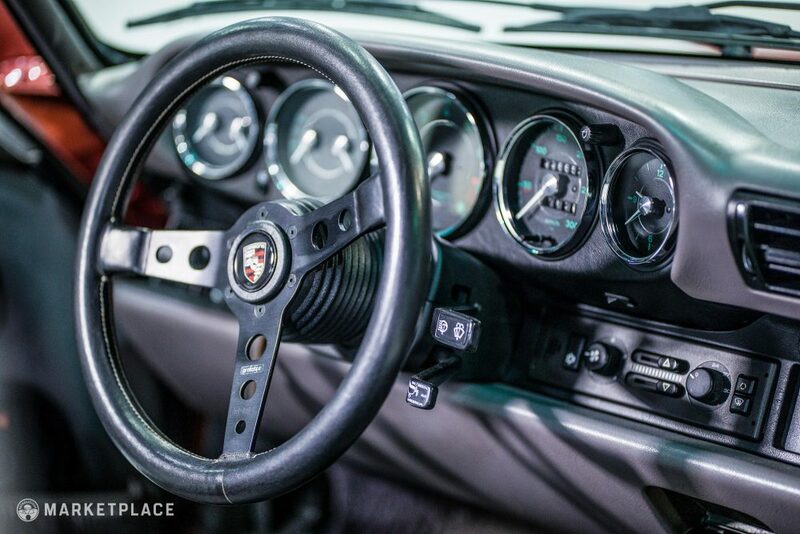 The original Porsche steering wheel is available and can be purchased from the seller. Dashboard & Instrumentation – Car Bone backdated the gauges to resemble the cluster found in 1964 Porsche models, all of which are in working order. 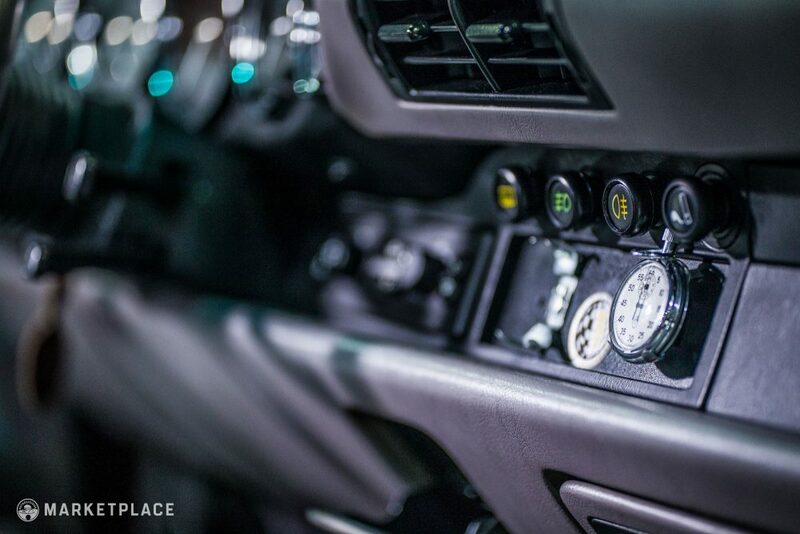 They removed the radio in favor of a stopwatch pod, as they believe the sounds of the engine are enough music for your ears. The plastic ignition cover has been swapped for a rather humorous donut (obviously, the original can be refitted prior to sale if it’s not to your liking). 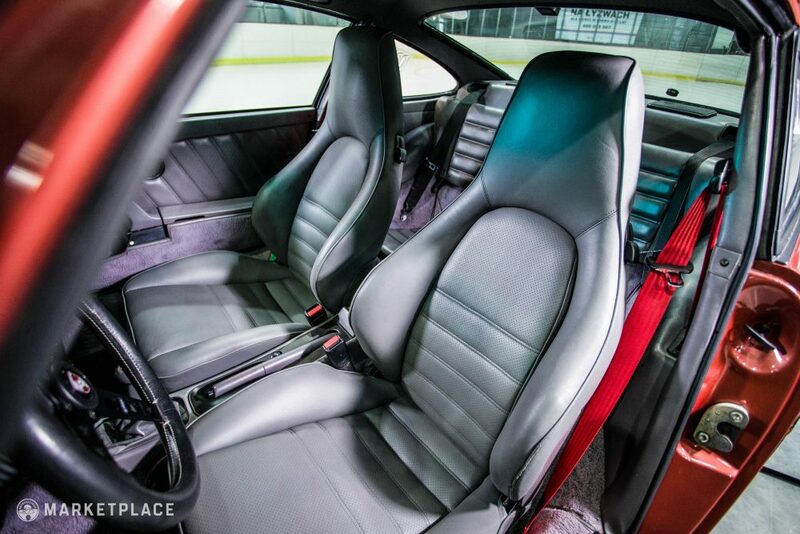 Seats, Trim & Carpet – The original leather seats were repainted with high-quality leather paint during restoration. Mechanically speaking, this Carrera 4 is a beast. 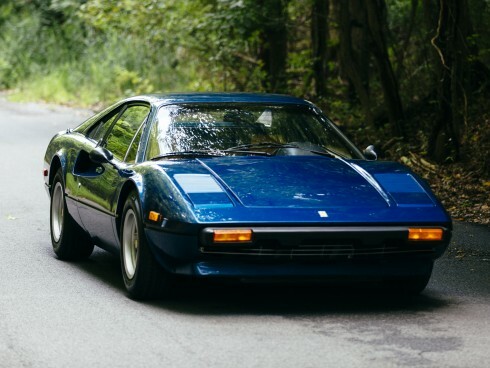 The original design of the car was already impressive, but when Car Bone rebuilt the engine in 2017, they added some trick bits to extract some more power, and while the engine was being refreshed all seals, piston rings, bearings, other small ancillary items were replaced. 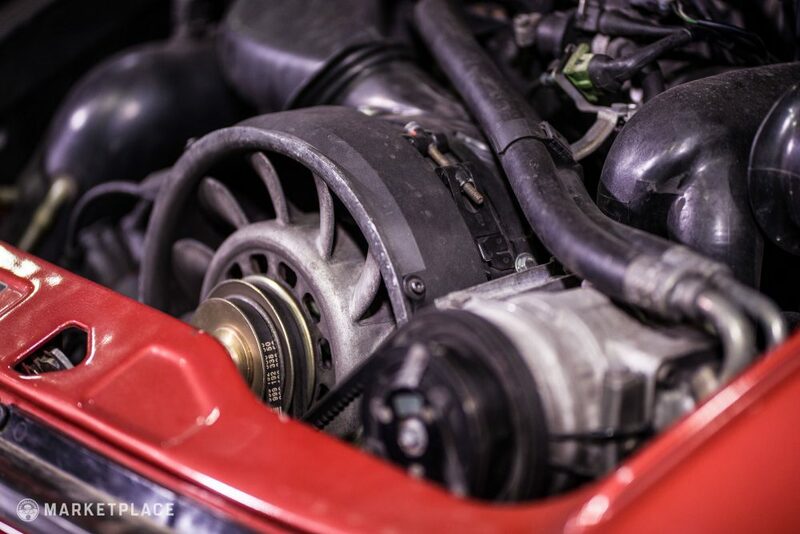 Engine – The numbers-matching 3.6L flat-six is now paired with an upgraded RS chip, lightweight flywheel, and was compression tested shortly after the 2017 restoration and now has about 280 horsepower. 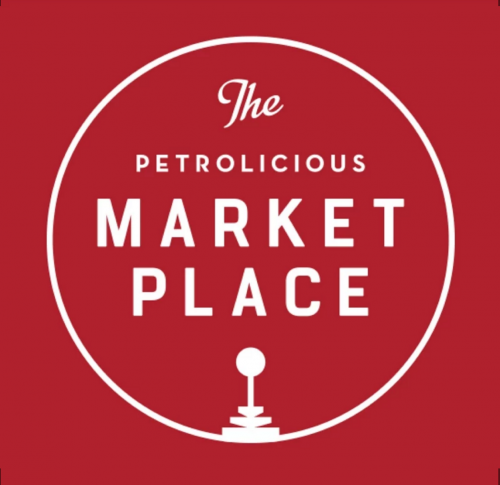 It comes fully documented with receipts, photos, and all original parts. The Drive: The car starts promptly every time and accelerates very quickly with the increased horsepower. Power is linear, plentiful, and the ride is well planted with the 4WD. 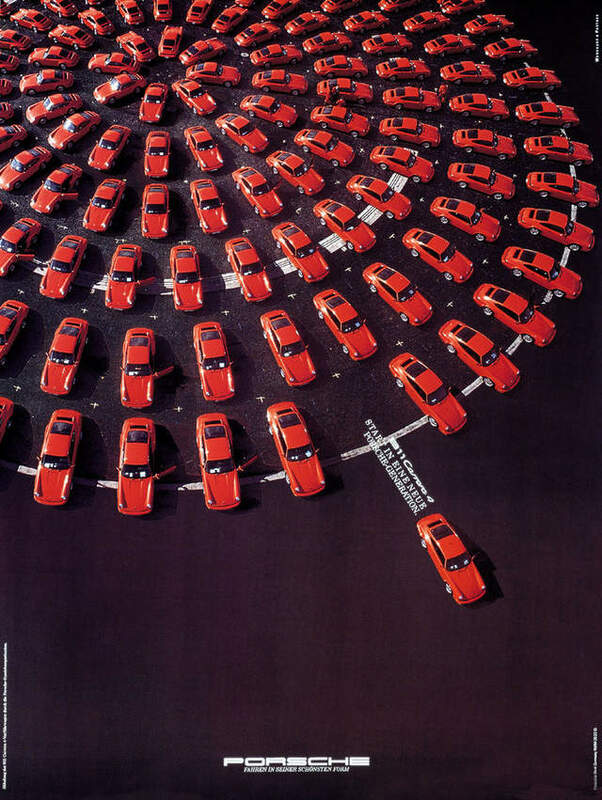 The traditional Porsche feedback is extremely confidence inspiring in the corners. 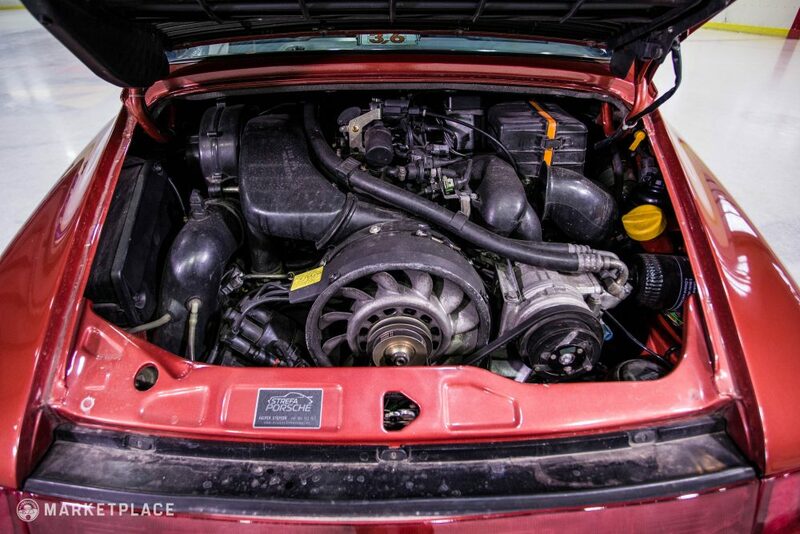 Transmission – This Carrera 4 has a five-speed manual G6400 transmission. 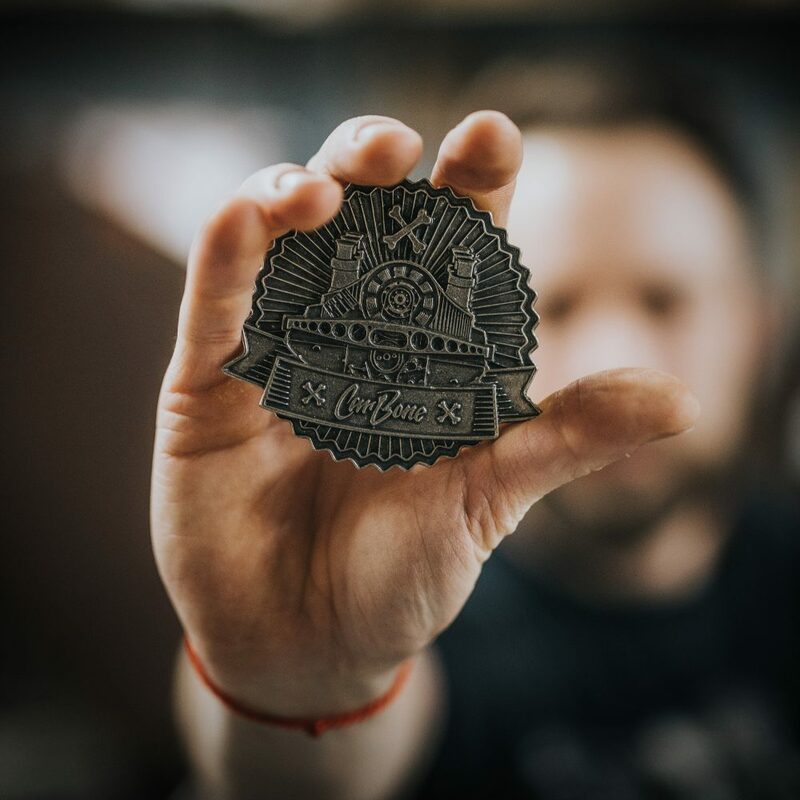 It was opened and inspected by Maestria in March 2017, and all gears were found to be intact and in near-perfect working order. 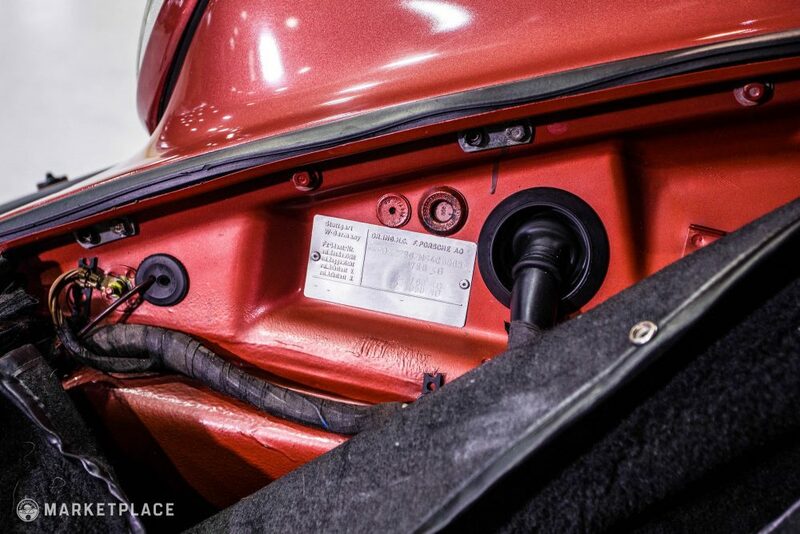 The inspection also comes fully documented with receipts, photos, and all the original parts. 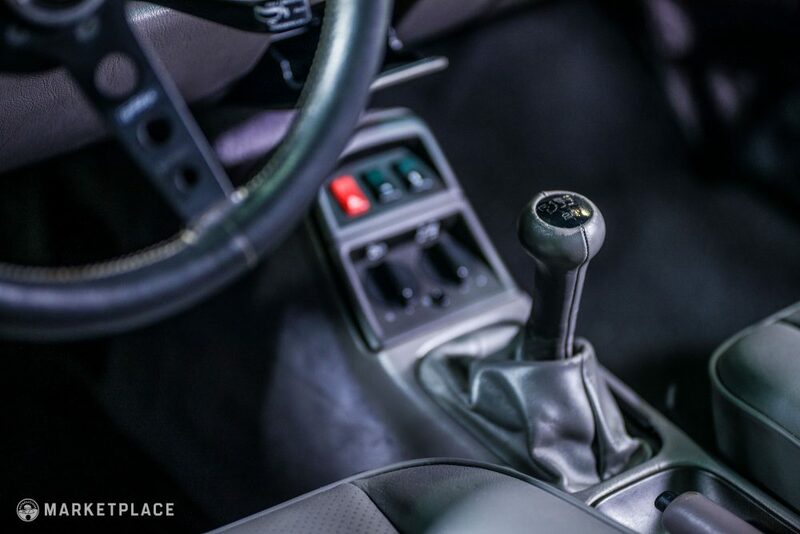 The Drive: The gearbox is “Porsche perfect,” delivering crisp shifts. 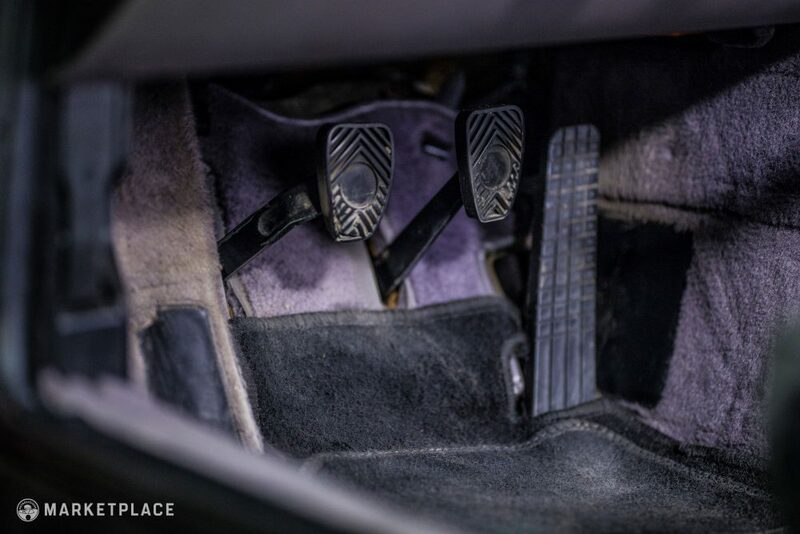 It is very easy to engage the clutch and gear selection is accompanied by a satisfying throw. 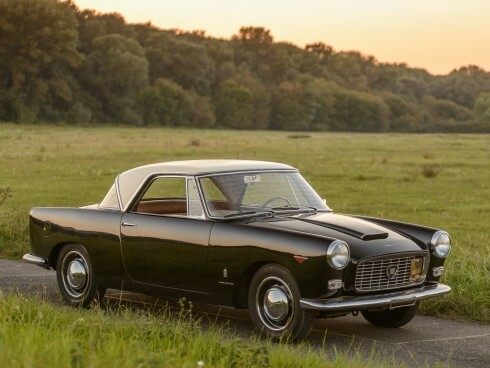 As listed above, all recent restoration work done to this car comes fully documented, including receipts, photos, and all original parts. 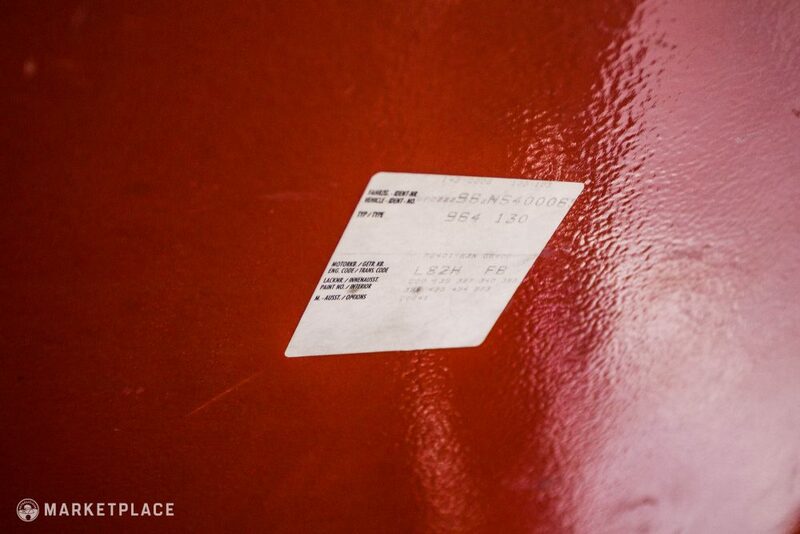 It also comes with the factory window sticker, build sheet, and owner’s manual. 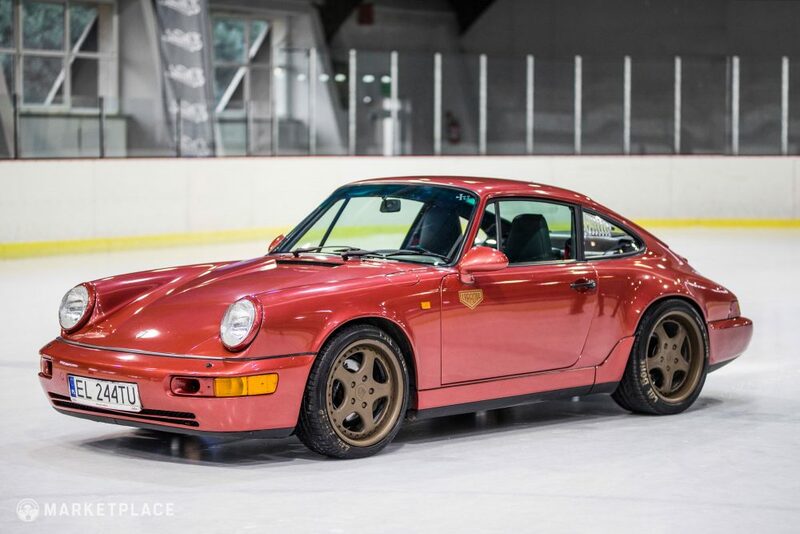 1990 Porsche 911 Carrera 4 Type 964 Coupe – Silverstone Auctions 2017 | $81,189 inc/premium – Guards Red/Linen with 12k miles, two-owner car with original paint. 1991 Porsche 911 Carrera 4 Type 964 Coupe – Bring-A-Trailer | Sold 06/2017 for $48,250 w/o premium – Black/Black with 92K miles, one-owner car. 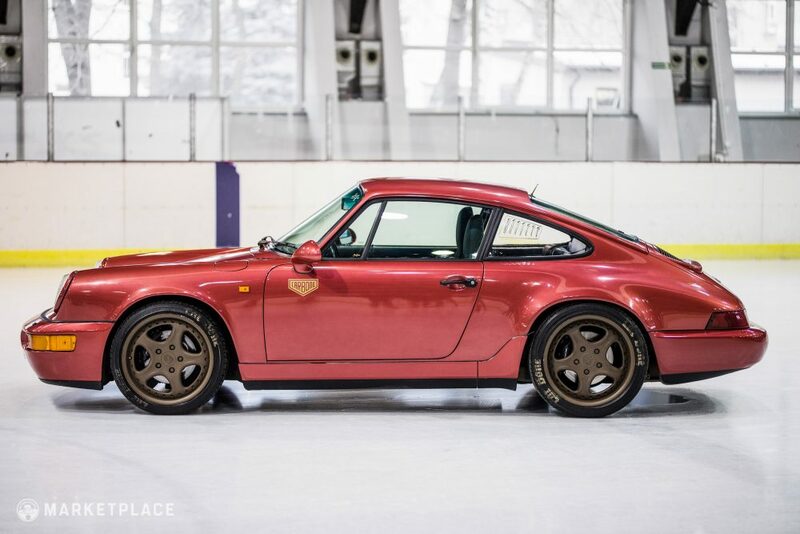 1990 Porsche 911 Carrera 4 Type 964 Coupe – Bring-A-Trailer | Sold 02/2018 for $40,000 w/o premium – Black/Black with 115K miles, three-owner car. 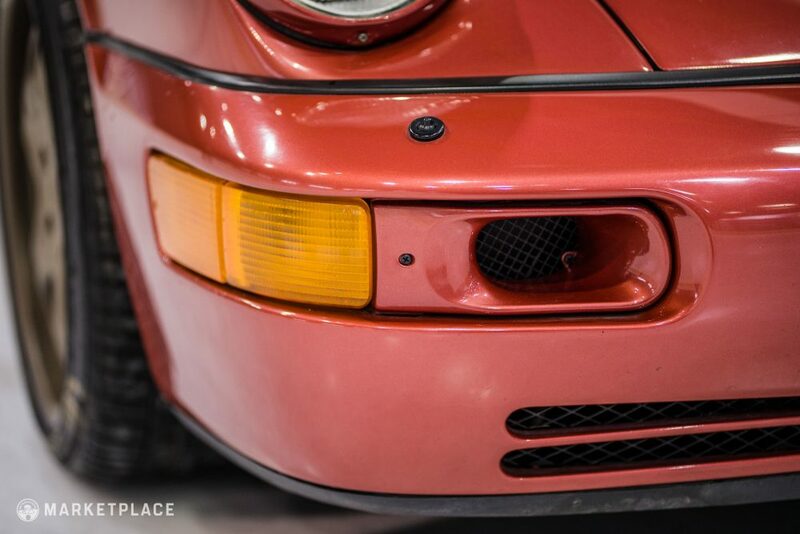 Coral Red – A truly special Porsche color that does the 964s lines justice and stands out among any 911. 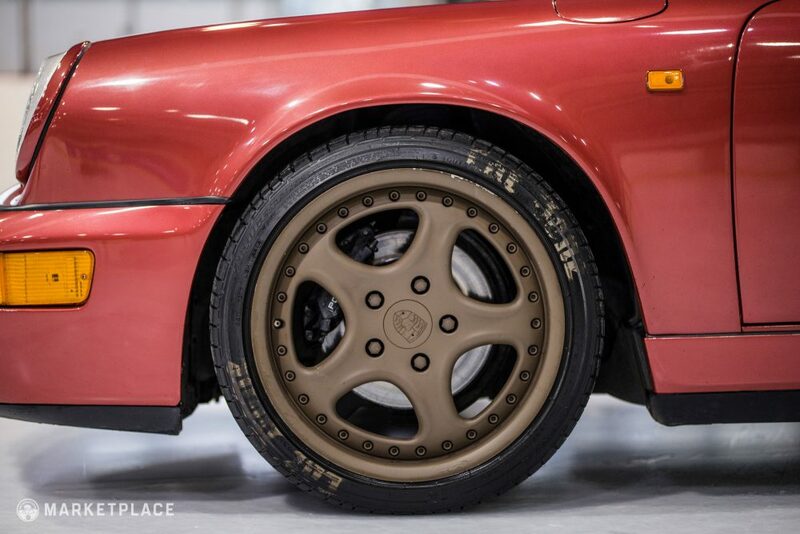 A Great Buy Made Even Better – 964s are great platforms for modification and finding one that’s been done right is not always easy. 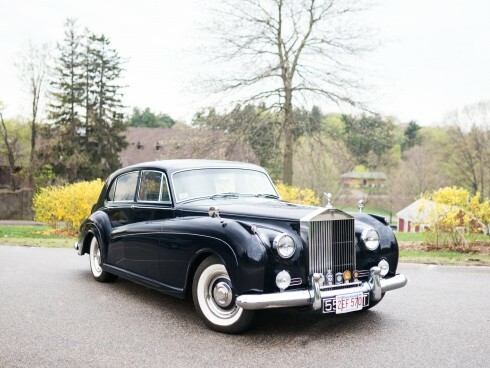 This car has already been restored, modified, tested, and is driven regularly to back up the work’s quality and the car’s reliability. 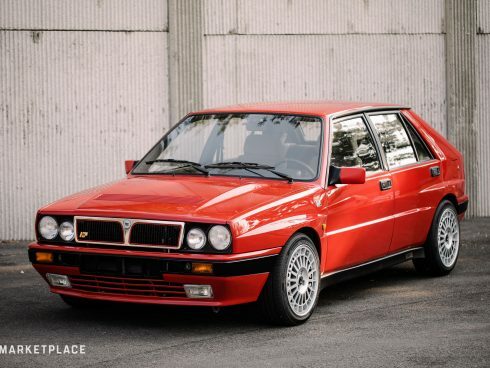 Keep It As Is Or Make It Your Own – If you love the vision set by the current owner, great. If not, you can revert the car back to stock since the sale includes the majority of it’s original components. 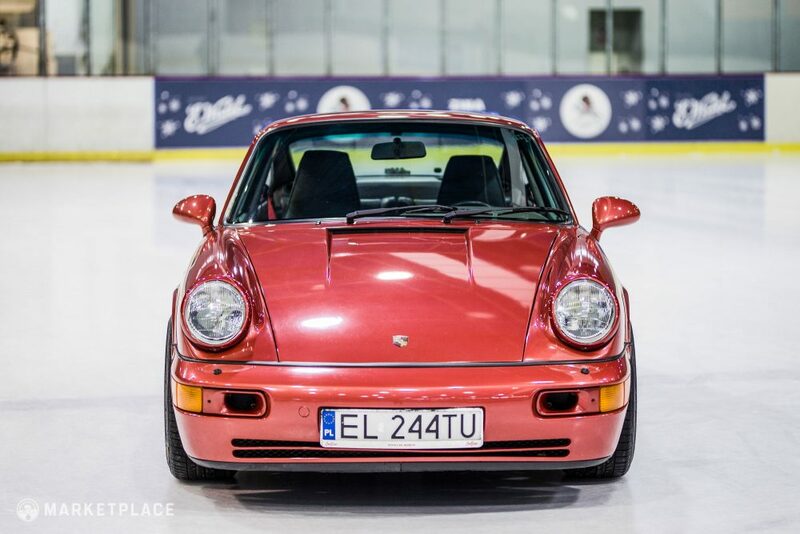 Old Dog, New Tricks – In 1989 Porsche’s reliable 911 saw it’s latest iteration: the 964. 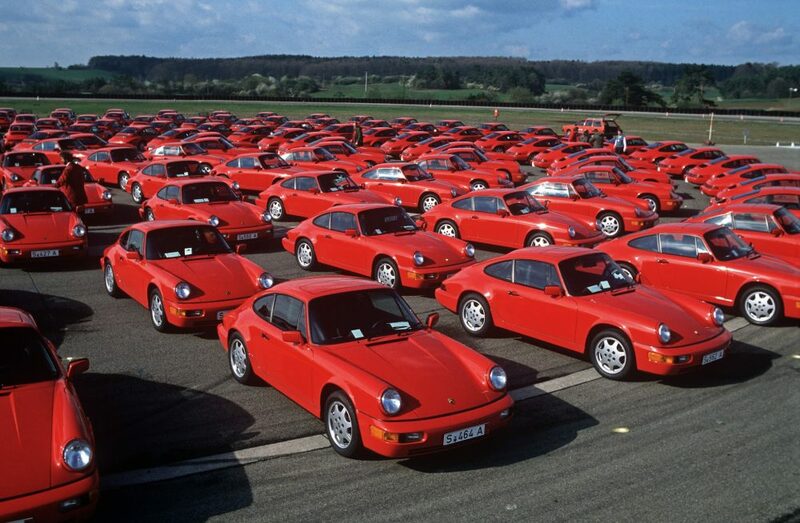 In addition to having 85% new components, the 964 marked the first time Porsche offered a 4WD to the mass market. 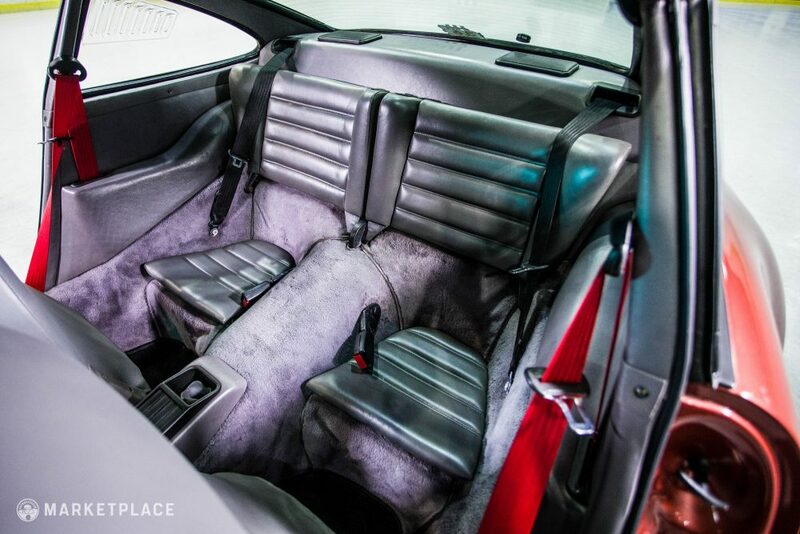 Given the success of the Audi Quattro in the Trans-Am series and the Audi and Peugeot four-wheel drive entries in Pike’s Peak, this prompted Porsche to come up systems of their own, which then translated into the road cars. However, it wasn’t well received initially, as most rear-engine purists were outraged at the idea of diluting the tried-and-true Porsche formula of rear-engine, rear-wheel drive. 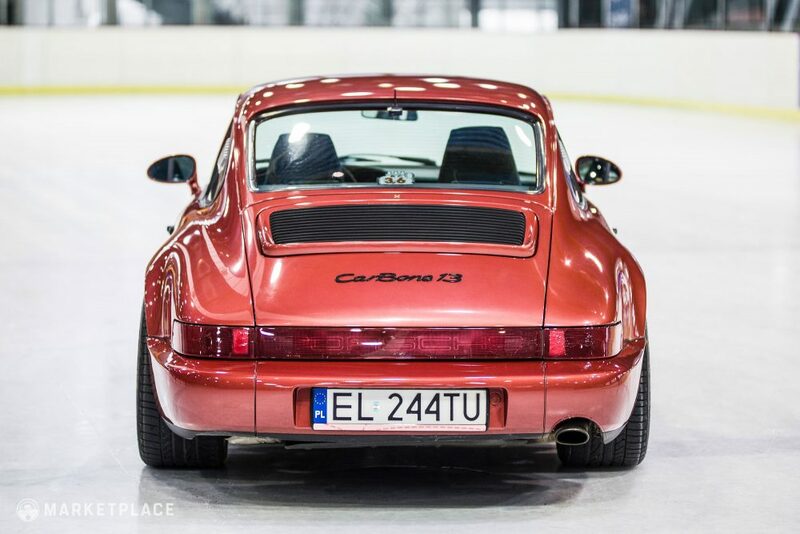 After initial reviews of the car were published though, the public started to change their opinion quite quickly, and the Carrera 4 became the most popular 911 since the original. Its proven stability, coupled with the improved handling capabilities, created a chassis relished by enthusiasts. 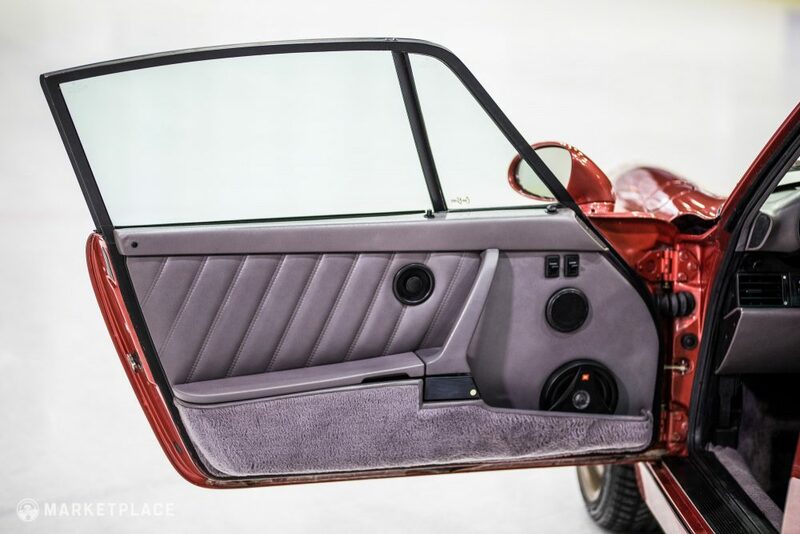 Its predecessor, the Carrera 3.2, while outfitted with the more user-friendly G50 transmission, was commonly thought to be a less reliable driver, as it often suffered from issues with stalling and too little torque. 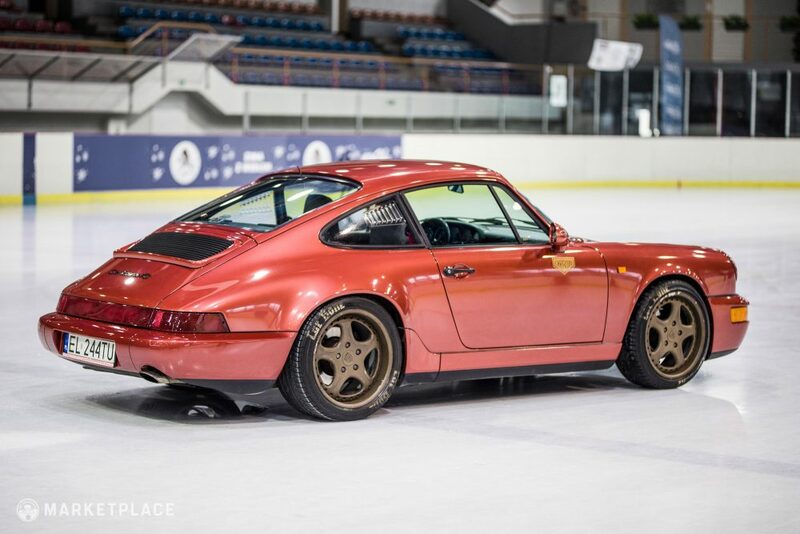 The 85%-new 964 came equipped with a completely redesigned suspension, the optional new Tiptronic automatic transmission, power steering, and ABS brakes among other amenities, virtually eliminating the problems of 911’s past. Porsche had finally brought a driver-centered model to the table, and with it, scores of people eager to add additional modifications. 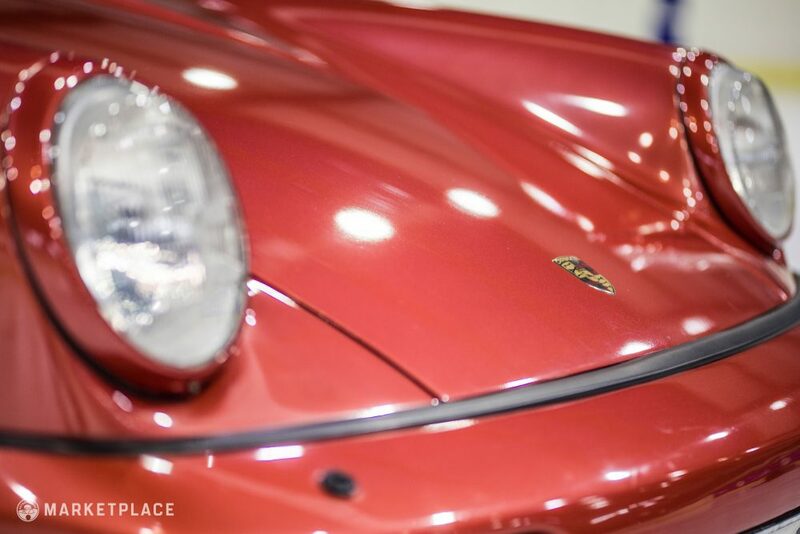 The car was designed by Benjamin Dimson in 1986, a man who was a significant member of the design team responsible for the creation of the famed 959 around that same period. 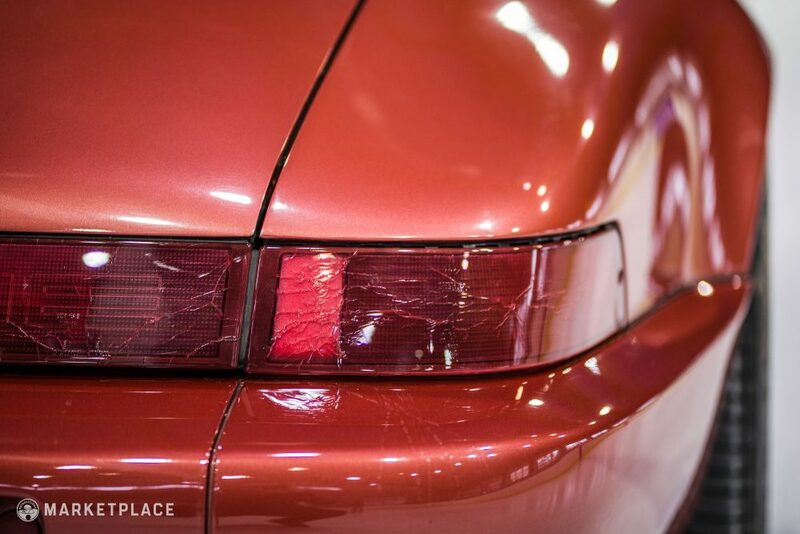 This is evidenced by the styling cues found on both the 959 and Carrera 4, from the same sloped roof and window shapes, to the slightly elongated tail lights and bumpers. The Carrera 4 even features a rear wing that will activate automatically at 50mph, similar to the adaptive nature of the 959. 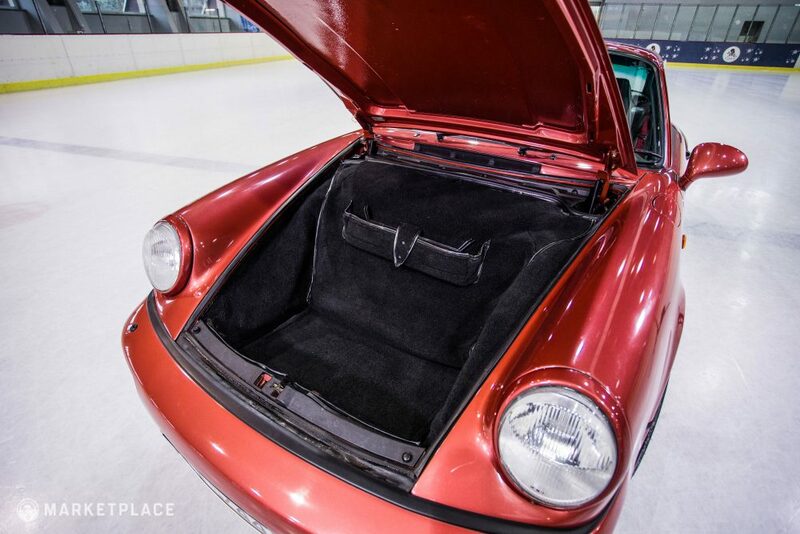 Dimson revitalized the 911 with the ingenuity and originality brought forth in the design of the 964. 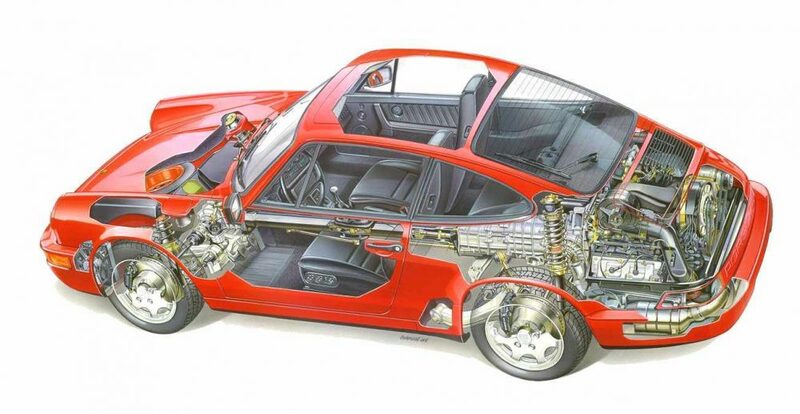 They also replaced the 911’s torsion bars with coil springs and shock absorbers on the 964, reducing the kickback during cornering. The new model saw an increase in power from 228 to 247, which led to an a then-staggering 5.1s 0-60 time, a full second improvement from the previous 3.2 Carrera. Top speed also increased from 152 MPH to 157 MPH. 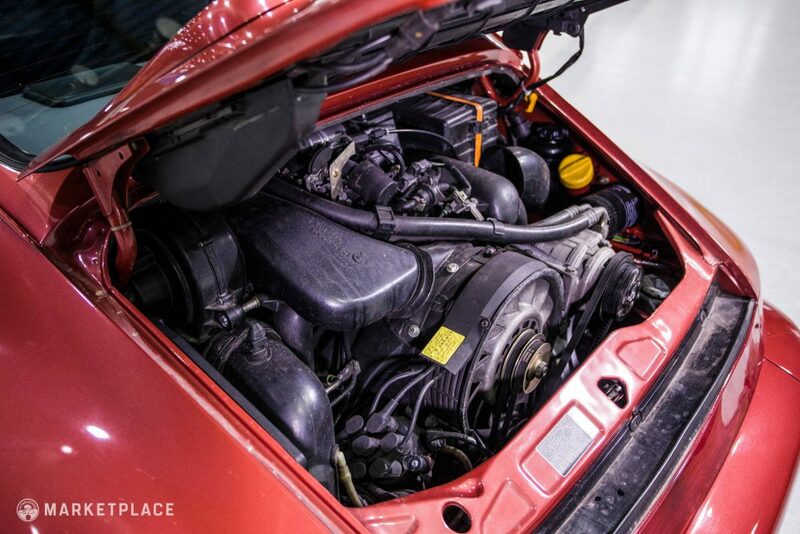 Superbly built and perfectly executed, the 964 brought Porsche the success of an attractive every day driver melded beautifully with ferocious German engineering. 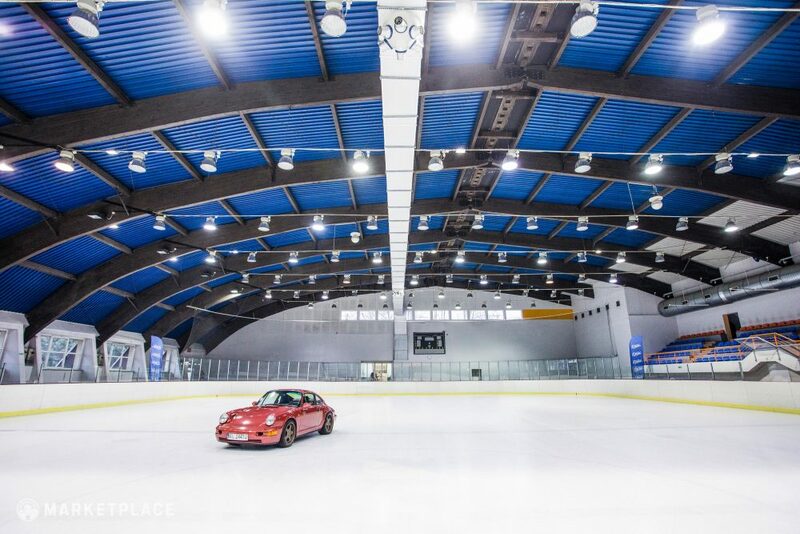 Here’s what it’s like to own a Carrera 4 – albeit an unmodified example.